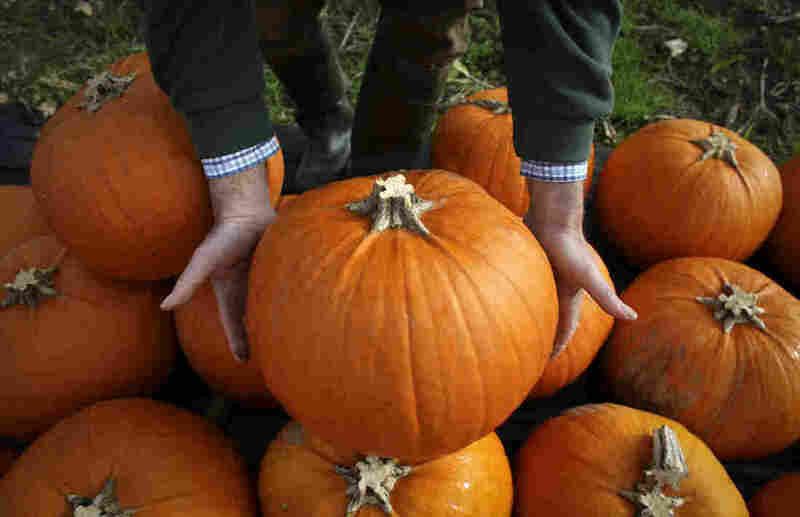 NPR News Nuggets: A Euro Mystery, Cold Climbing & Pumpkin Madness Here's a quick roundup of some of the mini-moments you may have missed on this week's Morning Edition. It's officially fall. In case you haven't found a pumpkin spice product that you like, one company has created a spray to add some flavor to any item. Clogged toilets are nasty things from which nothing good comes. That's unless what's clogging the toilet is money, which just raises questions. Swiss authorities are currently dealing with that exact situation after a Swiss bank found a one of their facilities was clogged with 500 euro banknotes. As Morning Edition host Mary Louise Kelly said on Tuesday, Geneva prosecutors are investigating after shredded money appeared in a number of plumbing systems. They're interested in the motive, but not as much as they're interested in where the money came from. The mystery remains, but luckily quite a few cases are solved when people follow the money. Although, this particular case involves some soggy notes. Generally speaking, as temperatures get colder, people put on more layers. I say generally because that was not the case with 19-year-old Nathan French. As Morning Edition host Mary Louise Kelly said on Wednesday, French decided to climb to the top of the highest peak in Wales for charity. The catch? He summited the mountain in only his underwear. And though they were Superman themed, French was not invincible to the temperature. In fact, that may have been his kryptonite. He reached the top, but as The Guardian reports, he became ill while riding the train on his way down. He started to suffer from hypothermia and emergency medical services were called. Miles Hill was one of those on the rescue team. He told the paper that they all want French to hike again soon, but that "anybody walking in the mountains should always carry enough equipment, clothing and food to be self-sufficient for the duration of their trip, including adverse changes in weather." We've finally made it to fall, y'all. You know, that time when the air gets as crisp as the apples you pick, the foliage changes colors and takes your breath away and — everyone goes crazy over anything pumpkin spice. There are the lattes, the scones, the lip balm, the English muffins, the ice cream, the yogurt and pretty much anything else you can imagine. But let's just say you happen to find something — anything really — that doesn't have a pumpkin spice variety. That's where Simply Beyond Foods comes in. As Morning Edition host David Greene said on Friday, the company created a pumpkin spice spray that can flavor anything you'd like. It may seem like this craze has finally reached its limit, but just remember: It's time to get in the spirit and get spiced.